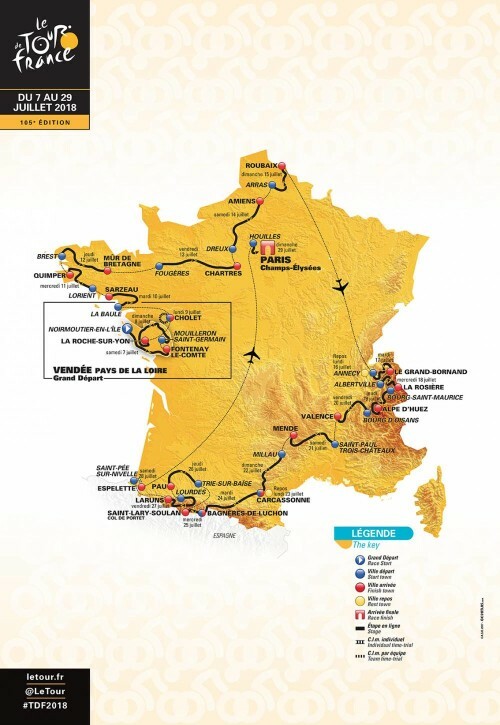 Home » Tour de France 2018 – your guide to the route! Tour de France 2018 – your guide to the route! 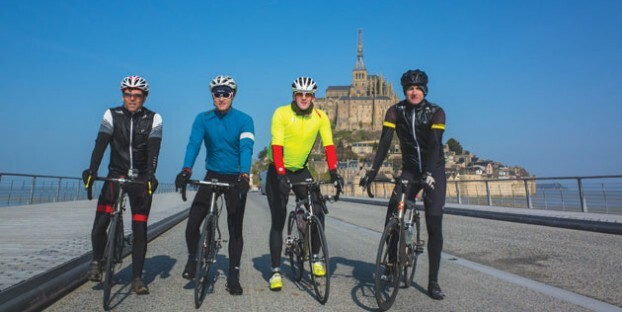 This year will see the 105th edition of the iconic Tour de France with a route that takes in Brittany, the Vendee and, of course, the mountains of the Alpes and the Pyrenees. There are 21 stages in all starting on Saturday 7th July and finishing in style on the Champs Elysee in Paris on Sunday 29th July. Covering 3,329km this is one of the shortest Tour de France routes of recent years, but it’s also been designed to be one of the most exciting and challenging! Unusually the 2018 Tour doesn’t include full stages in any other countries; with the exception of a 15km stretch in the Pyrenees that strays into Spain, the whole race this year is on French soil. The route will go through 36 départements and includes stages in Basque country for the first time in over 10 years. Nine new locations have the honour of hosting a Stage start or finish for the very first time. The unique cobblestone road between Arras and Roubaix is back for Stage 9 of the 2018 Tour presenting a bone-shaking ordeal for the riders. There is also a new Alps stage where riders are ‘off road’ on a gravel track for a steep 2km stretch to the Plateau des Gliéres. Want to see the Tour de France 2018? Prices quoted for w/c 7th July and available to book at time of writing! Prices quoted for w/c 14th July and available to book at time of writing! Prices quoted for w/c 21st July and available to book at time of writing! Make the Tour de France part of your 2017 summer holiday!